Did you know that Rocketvan offers a bespoke fine art crate building service? Whatever the size, the quantity or medium, we can build a crate or travel frame (T-frame) to safely transport your artwork, or artworks, from A to B. Our crates are strong, durable, and we only use the highest quality materials to protect your work on the interior of the crate, all at a competitive price. What’s the difference between a crate and a T-frame? Our crates (pictured above on the left), which are primarily made for shipping, are robust timber and plywood boxes, designed to house artwork for transport around the world and to transport single or multiple works to and from international art fairs and clients. They can be used over and over again whenever the piece needs moving, and can stay with the artwork for the rest of it’s life. 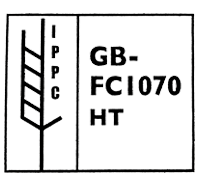 We only use timber that complies with international shipping regulation ISPM 15, a legal requirement which allows access through customs worldwide. Our crates can be made to be fully collapsible, and for top or side loading, whatever your requirements. 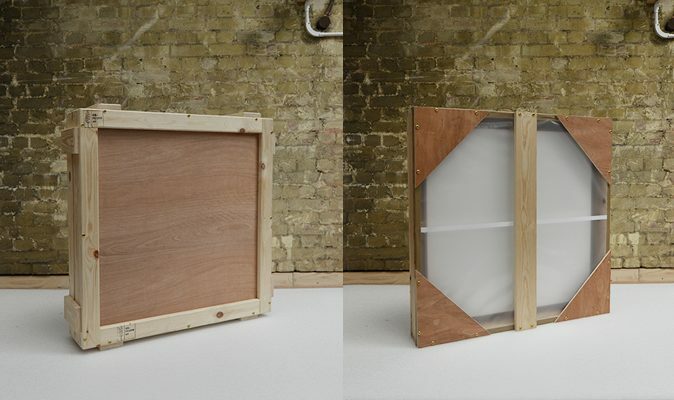 T-frames (pictured above on the right) are an economical art industry standard solution to safely transport a single painting when moving house, travelling between galleries and clients, or going into storage. While generally designed for local transport, we use the same timber as the international ISPM 15 crates so they are ready to travel, wherever you may be taking it. Unsure what this means? Click here to find out more, or call us on 020 7401 3928 for more information.